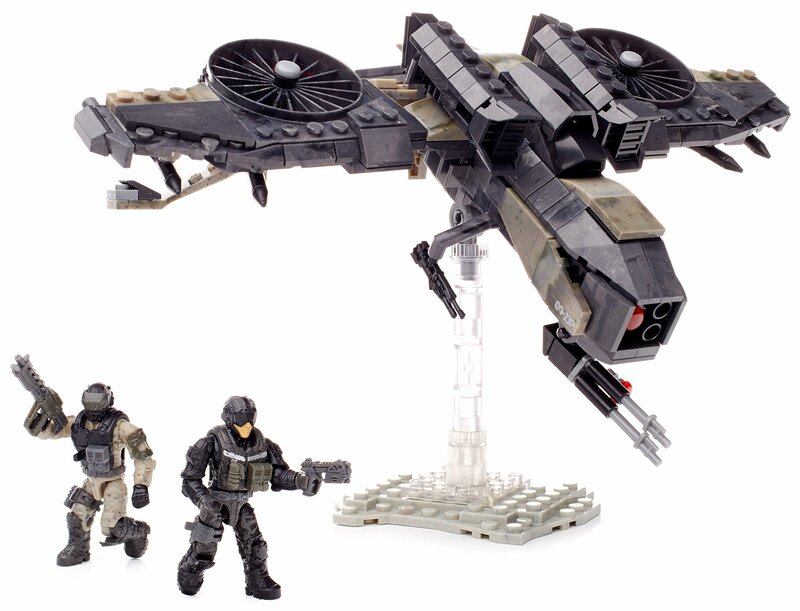 Build the Call of Duty Wraith Attack collector construction set by Mega Bloks.Armed with advanced weaponry and surveillance technology, unmanned aircraftare among the most effective tools used in state-of-the-art combat. Featuringarticulated wings and dual propellers for vertical takeoff and landing, thisbuildable drone aircraft comes with a heavy arsenal of weapons. Command theskies with the drone's high-tech surveillance system, and take aim using themulti-directional front-mounted cannon and side mounted machine guns. Then,use the interchangeable exosuit armor and detailed weapon accessories to gearthe two highly detailed, super-poseable micro action figures for a drone-assisted strike.